On Casters. 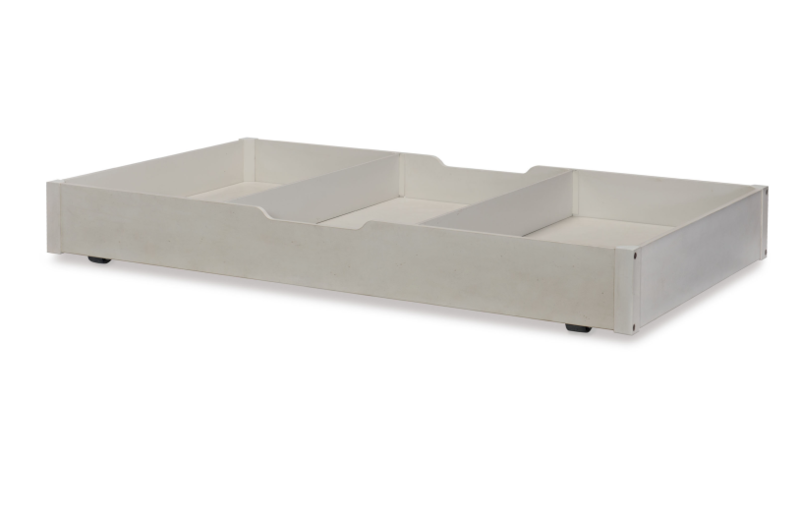 Use with the 8810 Twin & Full Low Post Spindle Beds, Upholstered Beds, and Upholstered Daybed. Cannot be used with the Queen Upholstered Bed. Requires Bed Rails. Taller Spindle Feet (included w/Trundle/Storage Drawer) replace shorter Bun Feet on Low Post Footboard & Upholstered Footboard (not needed for the Daybed).